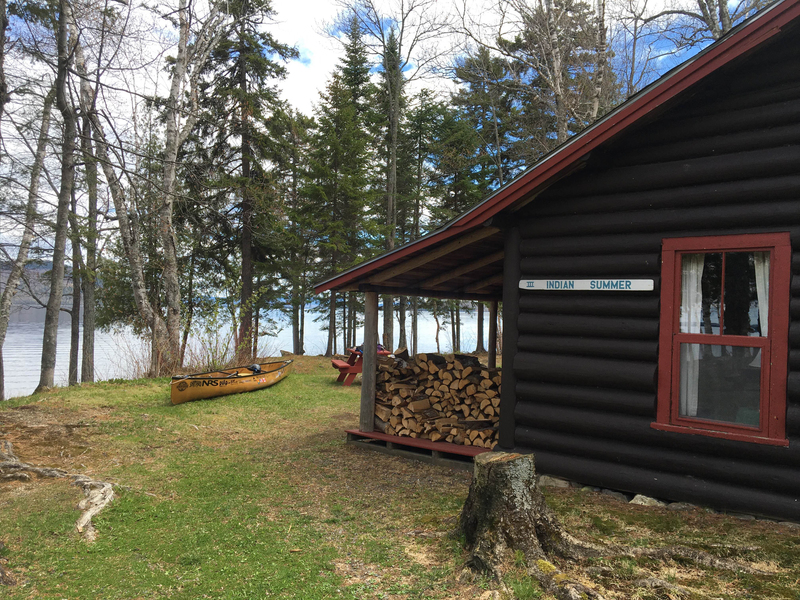 I enjoyed a wonderful lazy afternoon and evening at the Birches Resort in Rockwood, Maine on Moosehead Lake. I enjoyed the sauna, the hot tub, and a cozy cabin on the water. My friend John invited me for dinner and it was fun to catch up. 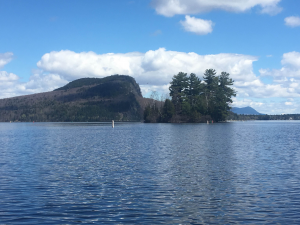 Moosehead Lake for open water crossings and incredible scenery. I arrived at Northeast Carry hoping to get to Raymond’s Country Store for AAA batteries, maybe even a beer and some snacks. I was disappointed to hear from one of the neighbors that Ed and Shirley, the owners of Raymond’s, had gone into Greenville because Ed wasn’t feeling so well, so the store was not open. I made myself an almond butter and jelly sandwich on a tortilla and sat on the porch of the store. I was curious as to why there were so many cans of wasp and hornet spray on the porch. After a couple of flybys and an inspection of my sandwich and it’s jelly, I realized why the spray was on hand. I can easily deal without my batteries as long as my headlamp stops turning itself on. Seriously, I have a hard time turning this headlamp on using both hands and for some reason it has managed to turn on all by itself twice, thereby burning up the spare batteries that I had. Wow, I have fewer snacks then I would like. I will manage just fine, but that beer would’ve been a pure luxury. My hope is that Ed is feeling better, that they come back to the store, and he has a really terrific summer. Now it’s off for two miles of the Northeast Carry to the Penobscot River, the West branch of the Penobscot River up Scott Farm, which is where I will put in and run the entire upper West branch. I’m not exactly sure where I’ll spend the night. I had originally thought about Row Island where Henry David Thoreau had spent some time. At the very least I think I’ll stop by the island to have that experience. I just love everything about what Ed and Shirley have. You’re in the middle of nowhere and there is their store. And the fact that they live their year round just amazes me. I would love to live their year round. It’s also nice going in there and chatting with them! In April of 2016, I’ll launch on a 75-day river/ocean odyssey that will carry me over 2 countries, 4 states, 22 streams, 58 lakes, and 1500 miles. As leader of L.L.Bean’s Outdoor Discovery Schools for 10 years and a former member of the US Canoe & Kayak team with numerous whitewater first-descents to my credit, I believe I am uniquely qualified to meet this challenge. Dying Out Here is Not An Option By John Connelly. Buy Now. 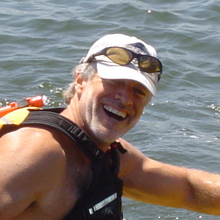 The PaddleQuest 1500 Book, Dying Out Here Is Not An Option, Book Tour Is On! The PaddleQuest 1500 Book is Available Now!